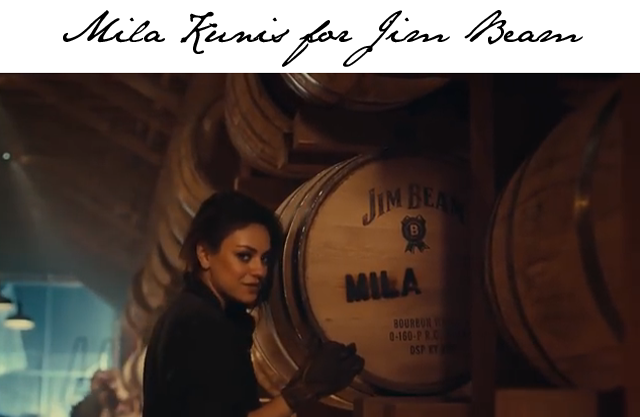 Mila Kunis the new face of Jim Beam Bourbon? That shouldn't be a question mark up in that title for this piece. Mila Kunis is officially the new face of Jim Beam Bourbon. "Well, that's strange," one might say. Yes, ok, this does seem like a rather odd collaboration of talents. But as AdWeek points out, Kunis is actually a big fan of bourbon, so why not put your weight behind a product you love? We're also guessing there were more than a few zeroes involved in the process of signing the deal.